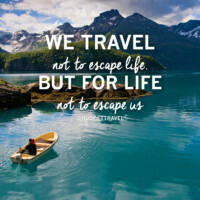 One of the most fascinating things about traveling is tasting culinary traditions from different cultures and places. 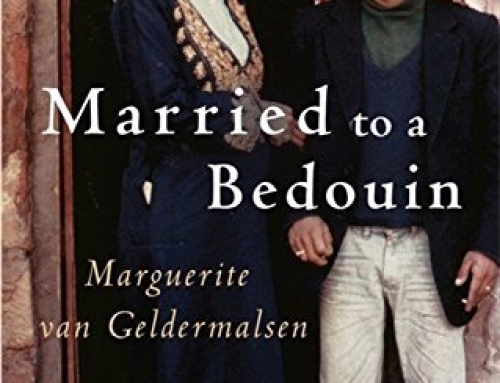 What we think of Middle-Eastern food in the West is a generalization of a wide range of countries with a few dishes which have become Westernized. 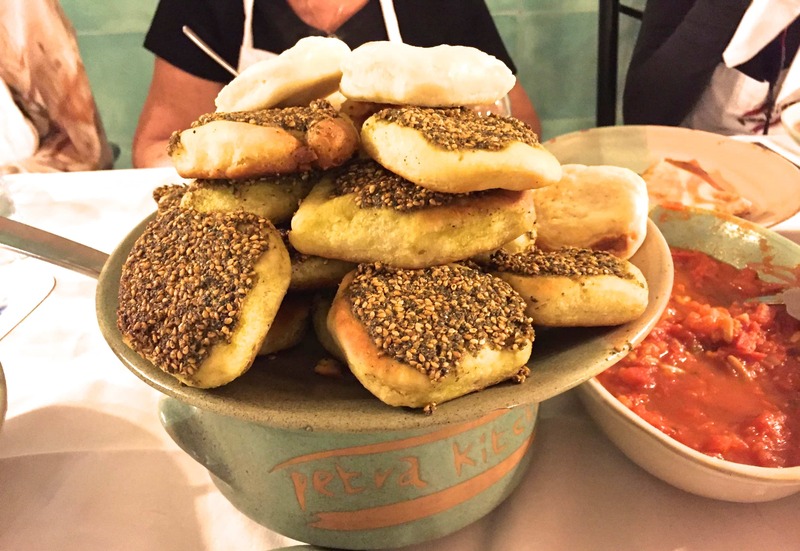 Kababs, Hummus, Tabouli, Pita bread – is that all there is to “Middle-Eastern Food”? No way. One could easily taste their way through each region, each village and taste the differences in spices and preparation of food. This is why I took a cooking class in Petra after spending the day visiting the fascinating, historical sites. 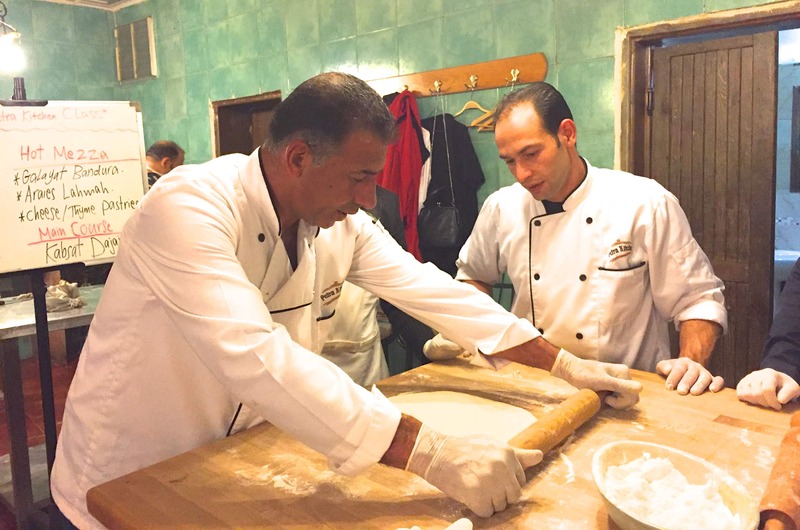 The culinary traditions of Jordan have roots stemming from Levantine cuisine. 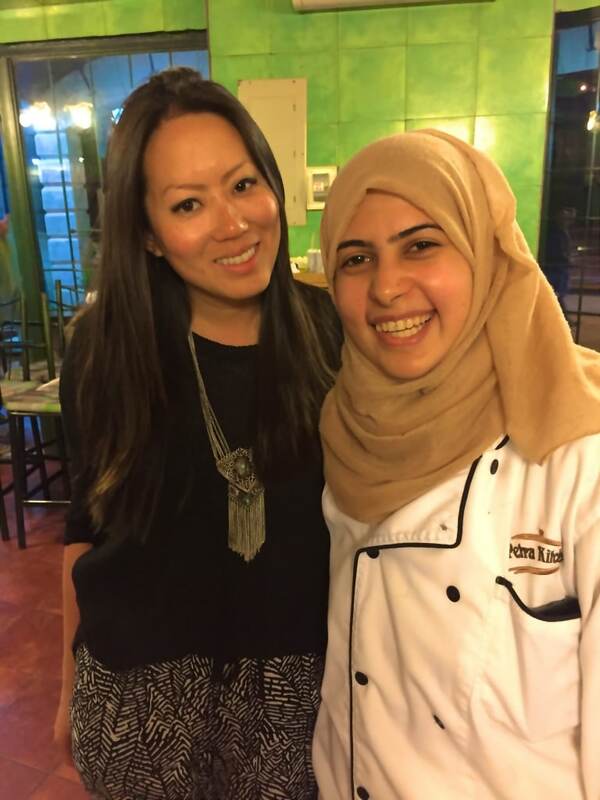 They share traditions and similarities to Syrian, Lebanese, Turkey and Palestinian cooking techniques. 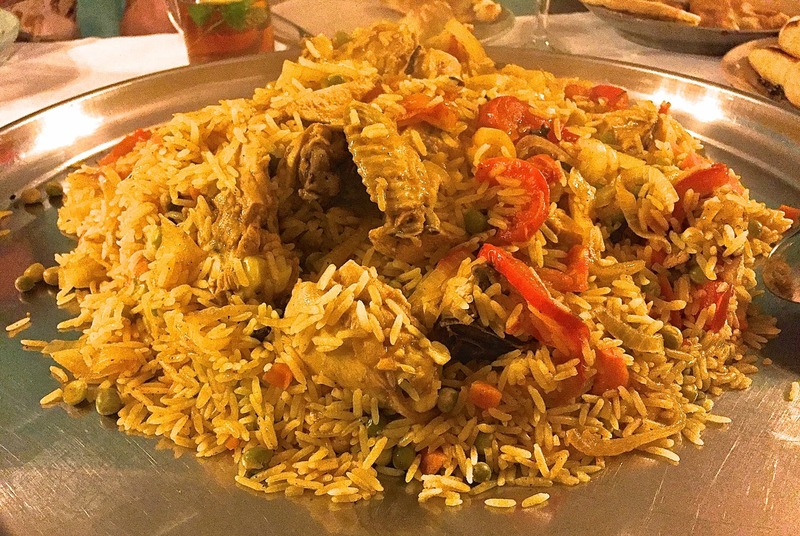 My favorite experiences in Jordan, next to meeting the most hospitable, friendliest individuals, was tasting the food. I can honestly say that I did not have one bad meal. Most dishes qualify easily ‘umami’ flavors with all tastebuds and senses engaged. In more traditional villages, meals are a community event with immediate and extended families present. It’s a way to show their generosity and hospitality regardless of their income status. 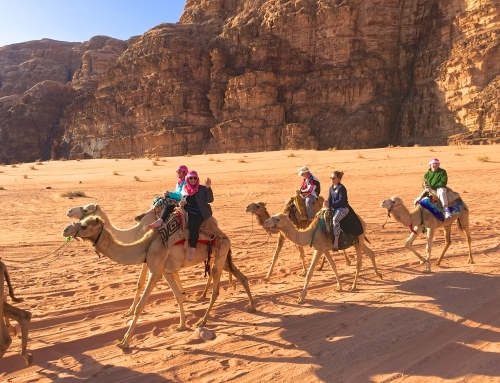 Petra is the most popular stop for those traveling to Jordan. 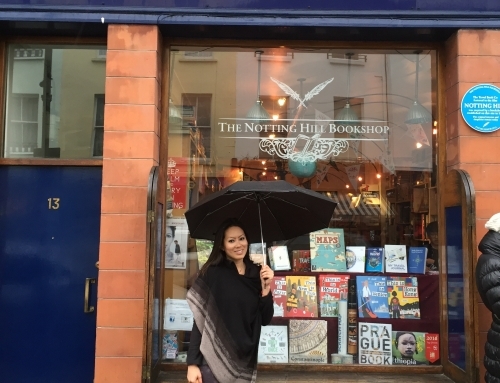 Some go on a 2 day trek from Israel, while others make this their first stop. 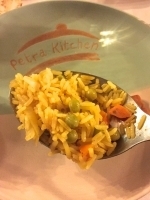 Besides visiting this fascinating historical site where Indiana Jones had his last crusade, we had the opportunity of taking a cooking class at Petra Kitchen in the evening. It was a fun, educational, interactive experience. 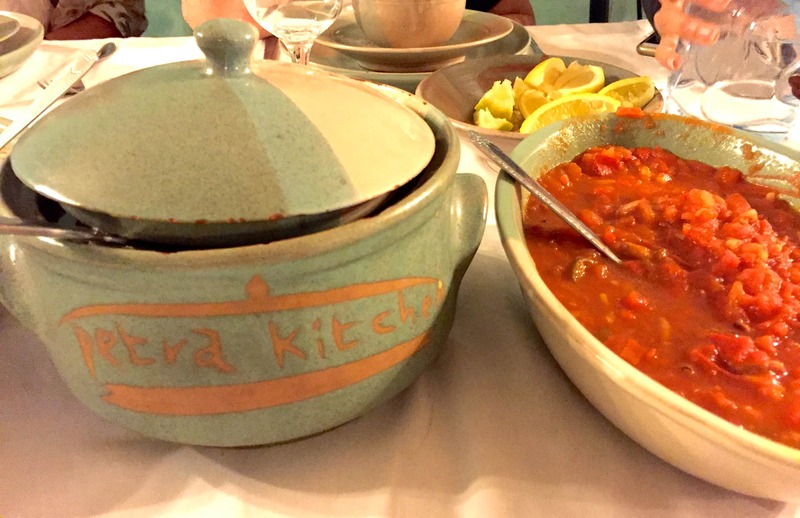 Petra Kitchen offers nightly cooking classes and dinner which showcases local authentic Jordanian cuisine in a family atmosphere. Meals are always served ‘family style‘. What makes Petra Kitchen so special? You won’t see any refrigerators on site as the ingredients are sourced from local marketplaces daily. This way of cooking preparation stems back thousands of years and flavors are preserved to the integrity of their ancestors. 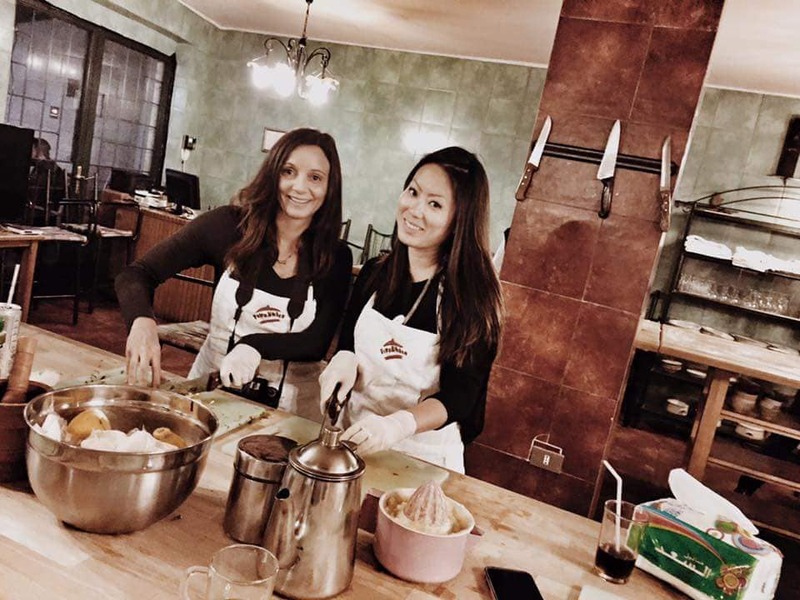 The chefs are highly trained with local women who teach you how to prepare each dish from scratch. Instruction is taught on how to serve the dishes and the history behind all of the entrees. 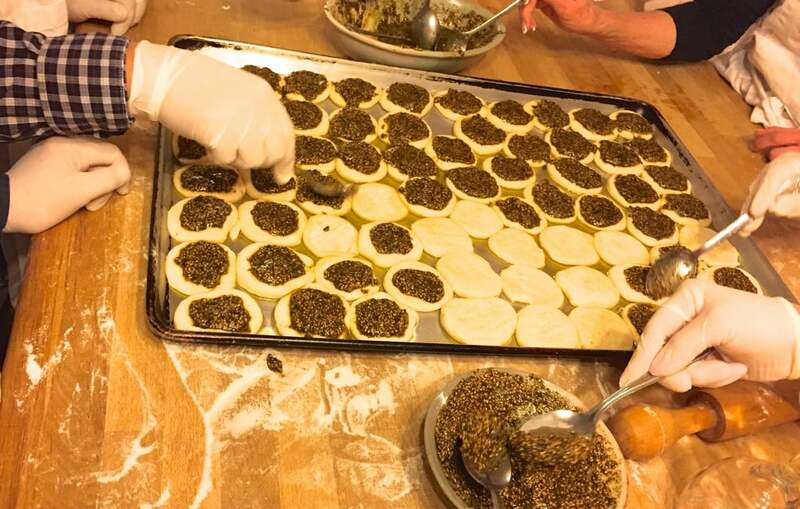 Taste what it’d be like to visit and eat with a local Jordanian family. 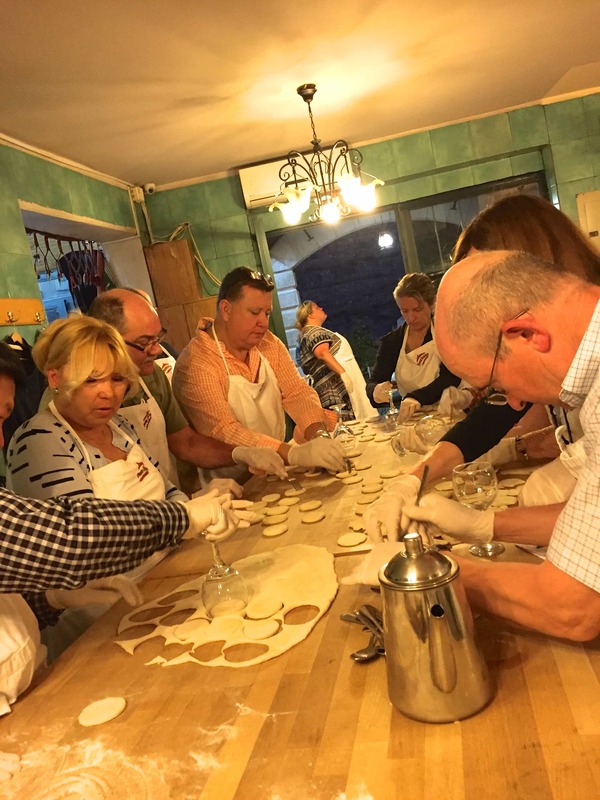 If you have more time, take the Multi-night cuisine course where one can visit local markets and food suppliers with the chefs before preparing to cook. In a typical Jordanian meal, there will usually be at least 6-12 “mezze” or “mezza” dishes. 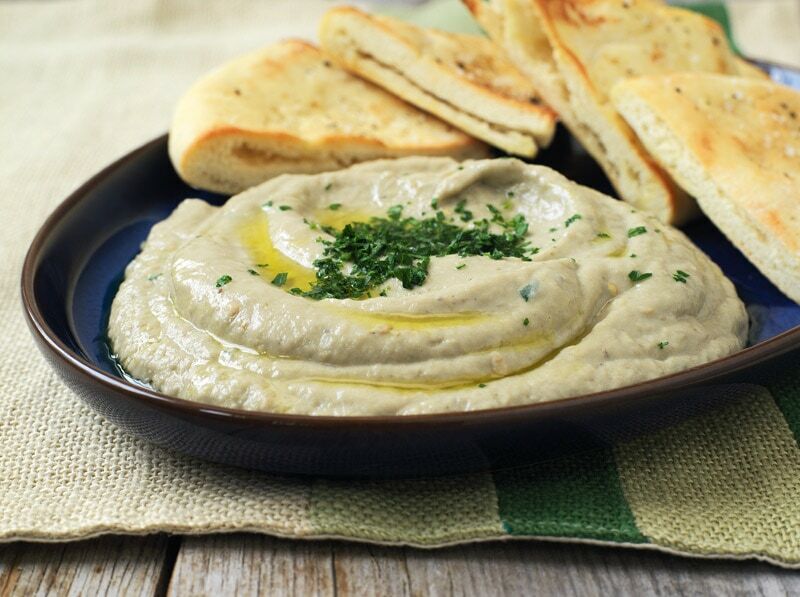 Mezzas are the hallmark of Levantine cuisine which are appetizers, sides, salads that dominate the table setting. Some mezzas are served cold and some hot, with bread, soup, main course and dessert. Women and children coming together daily to prepare and cook food is often something they look forward. It’s a time to gather and discuss the day’s stories and gossip. Time goes by fast with good company and good food! 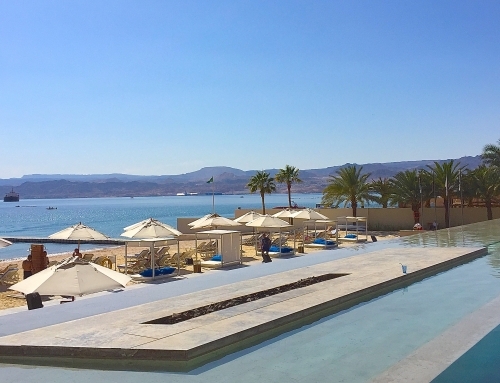 stay after class to relax on their terrace for Wine and Shisha. 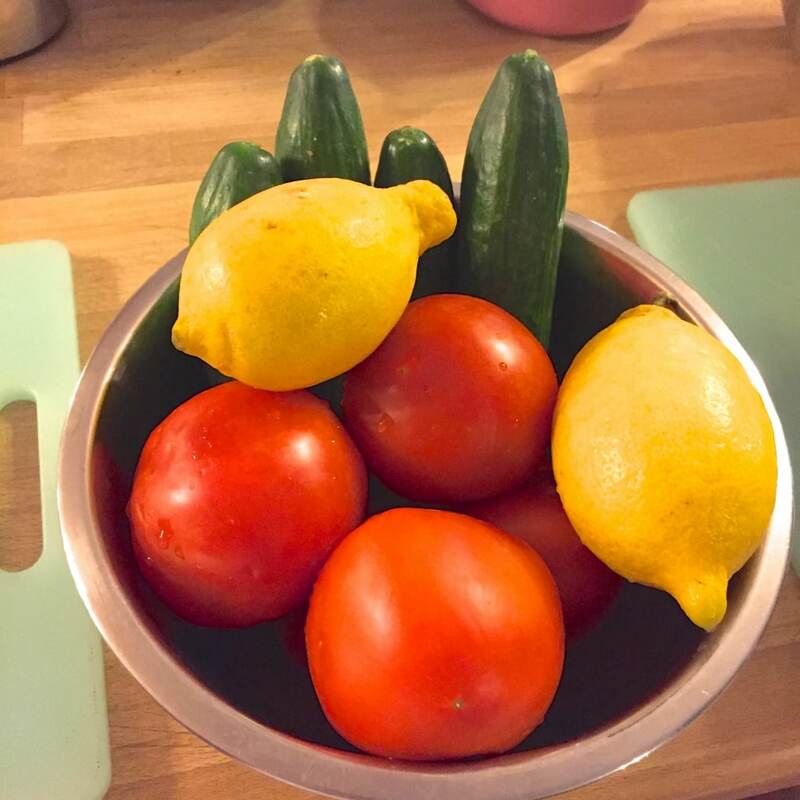 Let’s Begin the Cooking Preparation of a Jordanian Dinner! Traditional Jordanian Dinner is Served! Crush garlic in pestle with salt (I like extra garlicy! ), then stir into puree. After you have enjoyed your delicious cooked Jordanian meal, stroll upstairs to their gift shop that sells high-quality handicrafts produced in Jordan by local craftsmen and craftswomen, using only local materials. 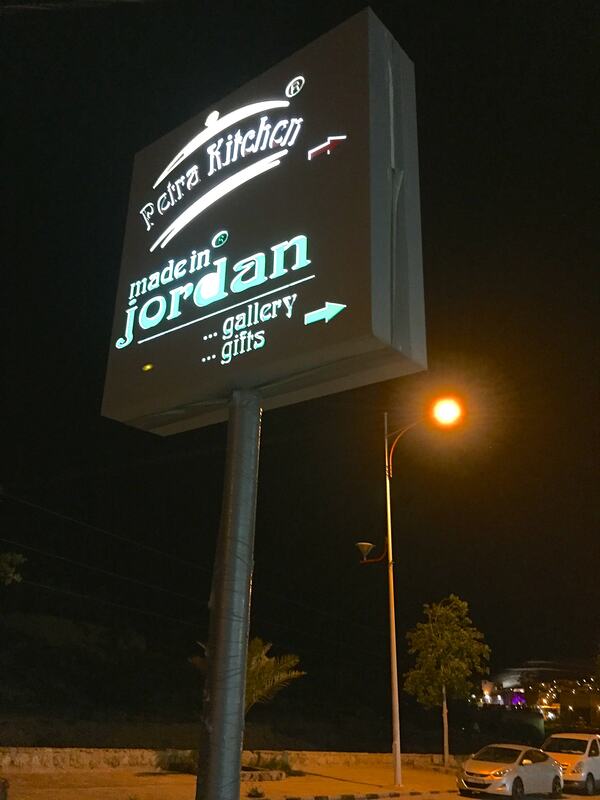 These items make awesome souvenir gifts from top-quality kitchen supplies like clay pots and dishes, to hand-sewn bags, wallets, traditional clothing and more that were inspired by the local culture and history of Jordan. A portion of the proceeds go back to the artisans who designed them. 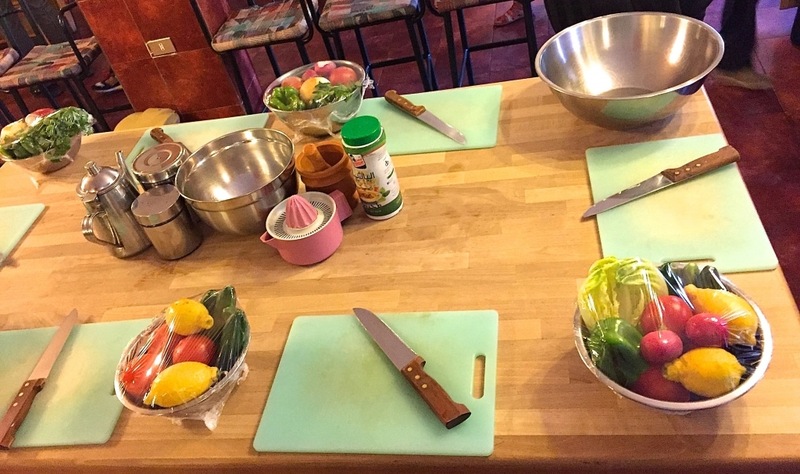 Interested in Taking a Cooking Class in Petra? 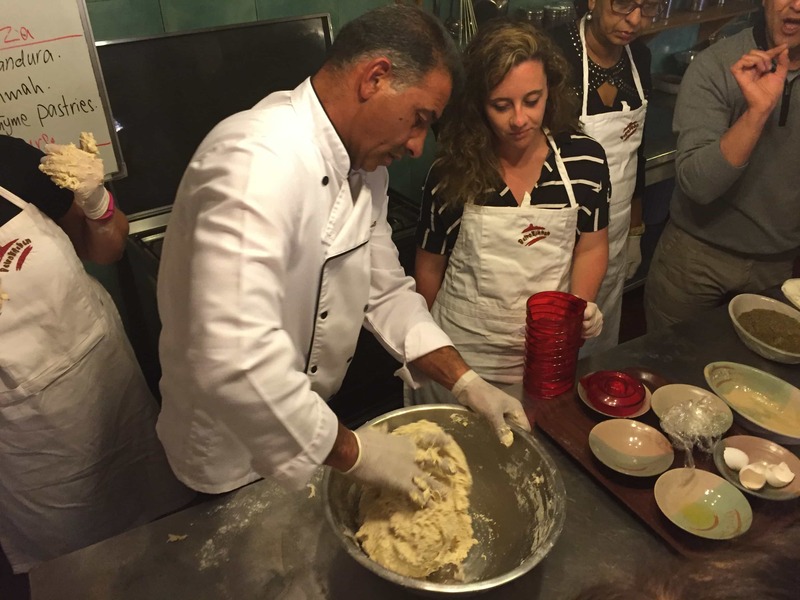 The course is approximately 3 hours long, costs 35 Jordanian Diners/person (approximately $50) which includes the cooking course + a full dinner. Petra Kitchen limit the class to 48 people per night. and Arabic culture, next to ‘Tea Time’.